FINAL INVITATION - 6th CSIT World Sports Games. 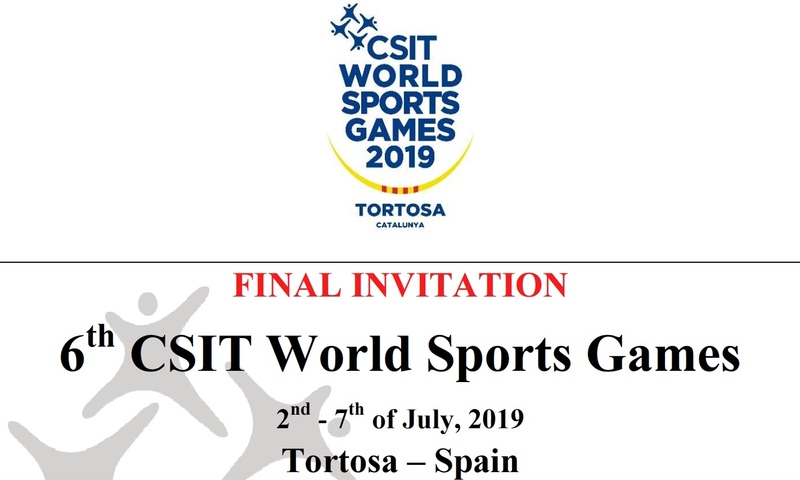 The city of Tortosa and Terres de l’Ebre region are welcoming CSIT, its World Sports Games, the International Workers & Amateur Sports Movement, its partners and the several thousands of participants from all over the world to practice and compete in sports and sports for all activities in the best atmosphere and conditions. In the past years it is proven that the CSIT World Sport Games are an excellent opportunity to meet and greet international people in a sportive and amicable way. Unió de Consells Esportius de Catalunya (UCEC) will give its best to continue the tradition. Find all information in the INVITATION for the 6th CSIT WORLD SPORTS GAMES and on all CSIT information channels.